That's what you'll get as a client of Truguard Insurance Brokers, LLC. We pride ourselves on personal service and attention to detail. We're an independent agency that compares quotes from up to 25 top insurance companies. Contact us today to experience the difference. Protect your home without overpaying. We compare coverage & rates for you. Meet the local insurance agent you can trust. 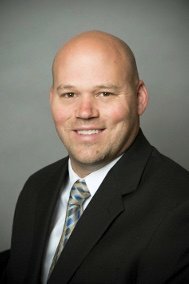 From Truguard Insurance Brokers, his locally-owned and operated firm, Jim Pehl works with your unique insurance needs. Jim brings over a decade of expertise as both a captive and independent insurance agent in order to provide you with more of the best options available. Jim’s clients agree that having Jim on your side means quick, friendly and competent customer service, keen insider knowledge and helpful guidance for all your life’s milestones. Whether you’re adding teenage drivers to your policy or closing on your retirement home, Jim ensures your needs are met. He is dedicated to taking care of you, and is proud to provide exemplary insurance service. *Jim is licensed in Minnesota, Wisconsin, Iowa, California and Arizona.